Originally a WW2 airfield Blyton Park was for many years used for the odd grasstrack event, but new owners have breathed new life into the circuit during 2011. New tarmac and plenty of grass and concrete run off have combined to produce a deceptively fast and technical circuit, which can challenge experienced drivers, yet also provide a fun and safe first time out experience for novices. 1.6miles long, the track is fairly flat, and a viewing bank allows for spectators to see the majority of the action. There are no garages, but the owners have done their best to provide some creature comforts, with a large hangar in which open cars can get out of the bad weather in, and where people can work on cars in the dry should they have any problems. A friendly catering team is in attendance, who offer more than just the ubiquitous burgers and bacon butties. Hot and cold showers and plenty of space for you to pitch a tent complete the offering at the moment. A new briefing suite and office was opened late in 2012 and the old amenities building was converted into a Clubhouse with a fully equipped Kitchen. 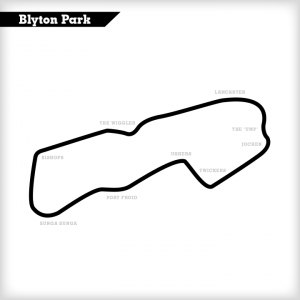 There is also masses of space for cars and trailers and associated spectator cars. The team who run the circuit are very experienced within the field of motorsport, and with their marshalls and medics provide an efficient and friendly service. 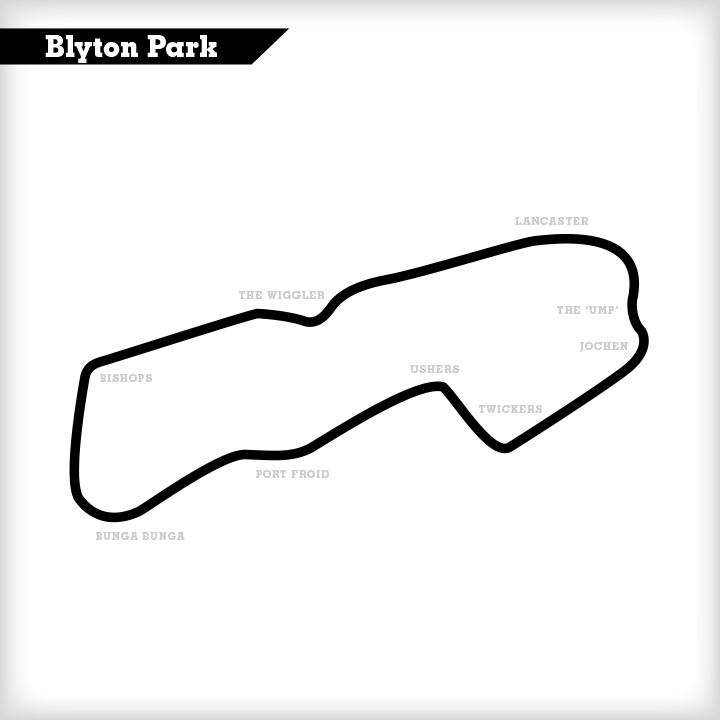 Directions: Blyton Park is approximately five miles North of Gainsborough in Lincolnshire. The venue is one mile from Blyton village on the B1205 (Kirton Road) and approaching from Blyton the entrance is a mile from the village on the left hand side. There are big signs on both sides of two heavy steel gates and a derelict wartime brick shed next to the entrance. Go through the gates and follow the track past the grasstrack on your left. Keep going past a derelict farm and park by the big grain store (green) on your right. Please drive slowly and carefully and please do not go any further into the site than the grain store.